Islanders were quiet, but new teammates and celebrity fans weighed in. 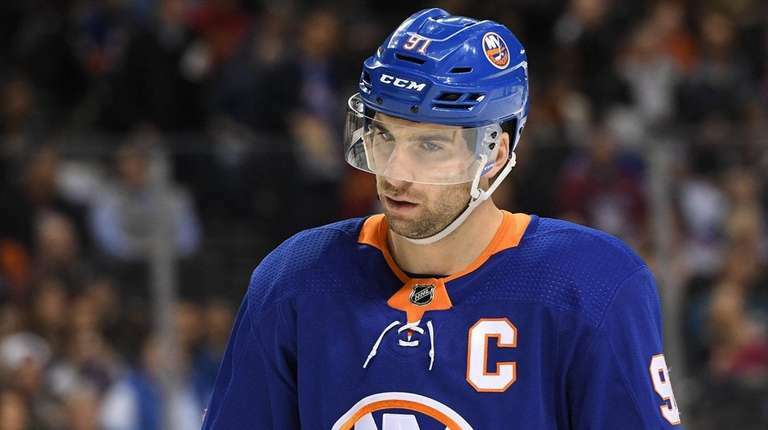 Other than president Lou Lamoriello’s statement wishing John Tavares well with the Toronto Maple Leafs and noting the great individual success he had in his first nine NHL seasons, reaction was muted from the Islanders’ organization after the loss of their franchise player via free agency. But Tavares’ decision was the talk of the NHL on Sunday. With Tavares gone, Islanders fans must pin their hopes for the future on new president Lou Lamoriello, who won three Stanley Cups running the Devils; new coach Barry Trotz, who just lifted the Cup with the Capitals, and center Mathew Barzal, who just won the Calder Trophy as the NHL’s top rookie. “Hey @NYIslanders fans. Let’s skip the jersey burning thing and just move on,” actor/director Kevin Connolly said via Twitter. “Best of luck to @91Tavares in TO . . . Tomorrow’s a new day #Barzal”. The San Jose Sharks also pursued Tavares and were one of six teams to meet with him at the Los Angeles CAA office of agent Pat Brisson. The Sharks offered Tavares a reported $13 million per year. Tavares signed a seven-year, $77-million deal with the Maple Leafs. Maple Leafs center Nazem Kadri tweeted out a photo of the two as junior hockey teammates, with him wearing No. 91, Tavares’ NHL number, and Tavares in No. 61.